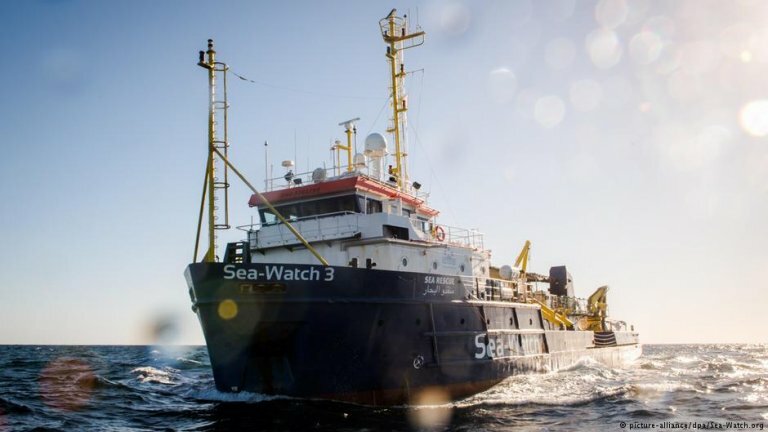 The letter is signed by more than 250 organizations, including Doctors Without Borders, Amnesty International and Sea Watch, as well as the German Confederation of Trade Unions and Pro Asyl. "We are disturbed by the current European policy which is increasingly focused on isolation and deterrence and so devalues the lives of thousands of people,” the letter says. “The obligation to rescue those in distress at sea exists in international law and the right to life is not negotiable." The signatories also condemn the criminalization of non-government aid workers who are unwilling to stand by while EU states fail to provide assistance. The letter calls for an emergency plan for a proper distribution among willing member states of migrants rescued at sea and stranded in states bordering the Mediterranean. In recent months, the letter says, a number of regions in Germany have agreed to become "safe havens" for more migrants. It calls on the government to enable these cities and districts to take in migrants through a "European relocation procedure". It also says the EU must stop returning migrants to Libya, where they face the risk of torture, slavery and violence. "The EU and Germany must observe and apply the law of non-refoulement [the practice of not forcing refugees and asylum seekers to return to a country in which they are liable to persecution]." It adds that support and training for the Libyan coast guard should cease.